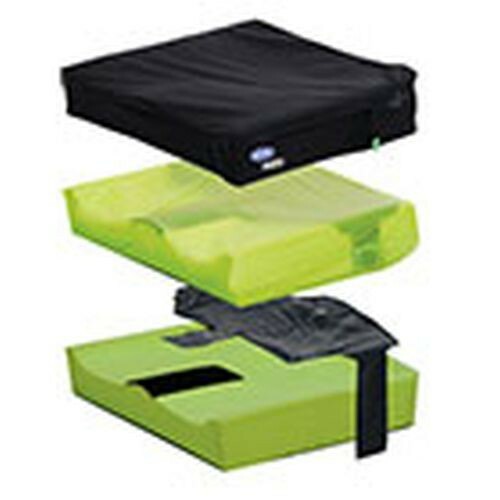 The Invacare MatRx Libra Cushion is designed to be the solution for positioning, adjustability, and skin protection for unique user needs. It is an ideal cushion for individuals who are considered a high risk of skin breakdown. 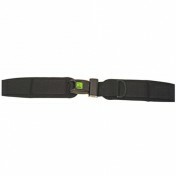 It is contoured to provide the pelvis with stability and balance, which allows for easier body function. The Invacare MatRx Wheelchair Cushion has a high-stretch, moisture-resistant, breathable outer cover. The outer cover features a lifting strap, hook and fastener strips, and a convenient zippered side pocket with an easy pull zipper tab. The inner layer provides additional moisture protection and the dual-layer fluid sac protects boney prominences. 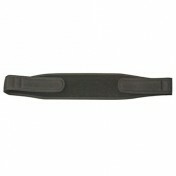 The foam base is anti-microbial to provide odor protection. The trochanteric shelf promotes lateral stability, the rear cushion radius reduces posterior pelvic tilt, and the waterfall front edge accommodates foot propulsion and tight hamstrings. You may also be interested in some of the other MatRx wheelchair products, such as the MatRx PB Wheelchair Back and the Matrx Libra Heavy-Duty Cushion.